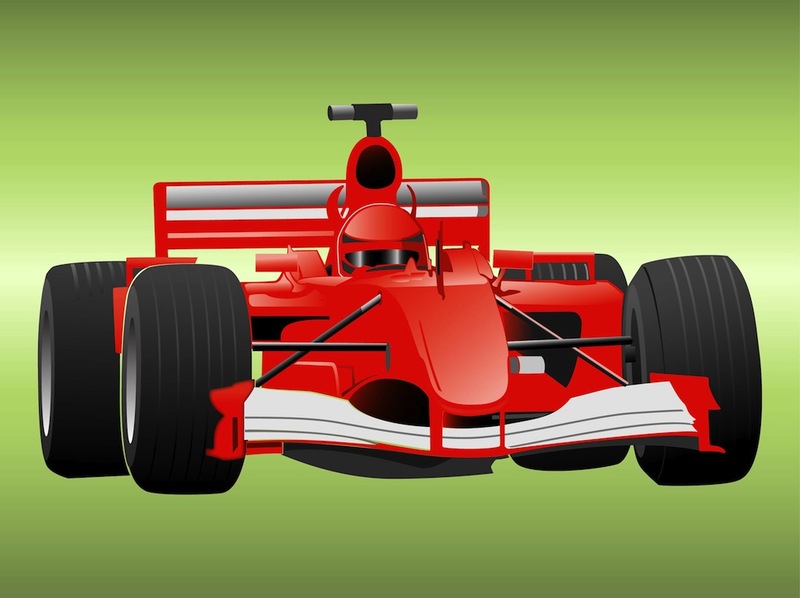 Motor sport vector design with Formula One racing car. Fast sports car with glossy finish on the metallic surfaces, driver wearing a helmet matching the car color. Free vector design to create racing, car races, motor sports, driving, automobiles, extreme sports and speed visuals. Tags: F1, Formula One, Motor Sport, Racing, Speed, Vehicle.